Our products lead the industry in providing the best quality and exceptional beauty. If your garage floor is cracked or stained, or if you’d like to take steps to prevent such damage, our one day garage coatings are an affordable solution. Fast installation and cure times mean that you will have full use of your garage is just one day. 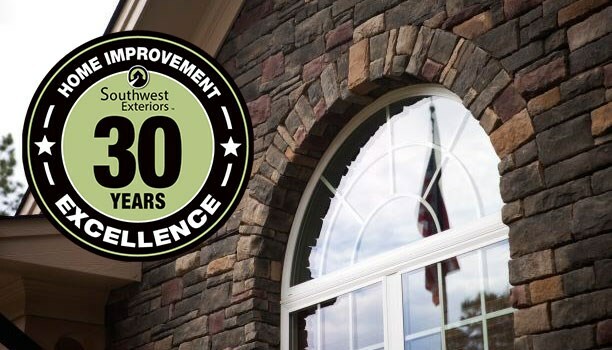 Since 1989, Southwest Exteriors has provided exceptional service, and we’re always willing to go the extra mile to ensure 100% customer satisfaction. That commitment to quality has earned us long-standing accreditation with the Better Business Bureau and a reputation as a top choice for floor coatings and other home improvement projects. Stylish Colors: Choose from dozens of colors or, if you don’t find one you like, we can create a custom color for your floor coating. Affordable Prices: You’ll be surprised at how inexpensive it is to give your garage a makeover with our top-rated one-day concrete coatings. Textured Surface: The textured surface can help to prevent slip and fall accidents. Easy Maintenance: Once the one-day concrete coating is installed, there is very little maintenance required to keep it looking brand new. Durability: We know the hazards a garage floor faces. That’s why our coatings are chemical, abrasion, and impact resistant. Impressive Warranties: Our one-day garage coatings are backed by industry-leading warranties for your peace of mind. You deserve the best for your home, and that’s exactly what we offer. Contact us today for more information or to schedule a free, no-obligation estimate. Call Southwest Exteriors today, or fill out our brief online form to get started.